To help reduce preventable crashes among teen drivers, Michelin North America Inc. and the American Driver and Traffic Safety Education Association (ADTSEA) have published the first national tire-safety training module for driving instructors. The updated training module provides standardized tire-safety education materials and new resources such as videos and hands-on exercises for instructors and students. ADTSEA will incorporate the module into the ADTSEA 3.0 Driver Education Curriculum, which is currently used for state driver education in six states: Hawaii, Illinois, Michigan, New York, North Carolina and Virginia. Minnesota, Wisconsin and Utah also use the program along with other curricula. Before National Teen Driver Safety Week, Michelin and ADTSEA offered a free curriculum workshop on Oct. 17 for Florida driving instructors in Miami. 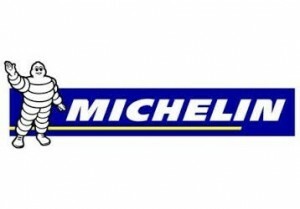 Michelin and ADTSEA will another free workshop in Long Beach, Calif., in April 2016. The new curriculum will be available at the ADTSEA website for free download.